You must make bookings at least 5 minutes in advance of the time at Benares. Green Park station is located within a five minute walk from Benares. Furthermore, Bond Street Station is located within a 7 minute walk from Benares. We do not offer daily entertainment but for private dining events please contact our events manager at events@benaresrestaurant.co.uk and we will happily attend to your requests. A staple within the London fine dining scene and celebrating 12 years of holding a Michelin Star, Benares, a Michelin starred restaurant specialises in modern Indian cuisine with a distinct British twist. Located in the heart of Mayfair, the sophisticated ambiance and detailed service compliment the flavour infused dishes and our enhanced by locally sourced ingredients. 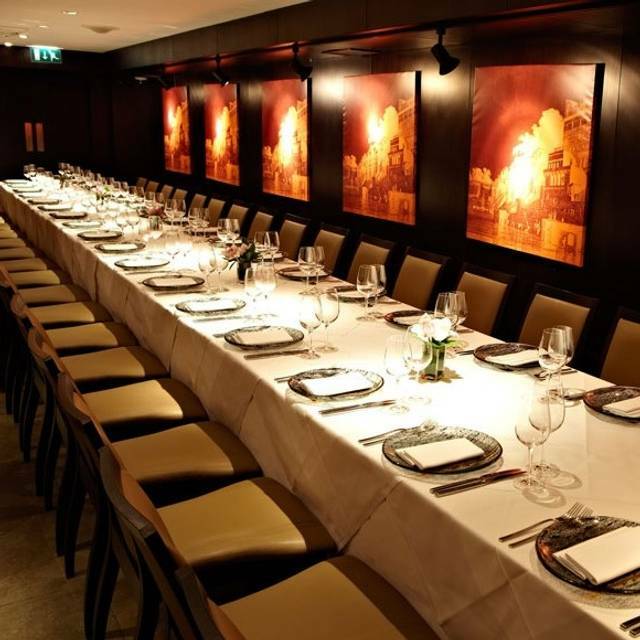 Boasting four private dining rooms, as well as an intimate bar area, Benares is able to accommodate all celebrations, whether corporate or personal, and is available for exclusive hire for larger functions. From Monday to Friday, all Group Lunch reservations include a complimentary signature cocktail reception. Benares is excited to announce a new menu addition to the family. The post theatre menu is perfect for after an evening out - 3 courses including amuse bouche and petit fours at £48 per person Monday – Thursday from 2145 – 2230. This post theatre menu is set to launch April 1st for a limited time. Enjoy their 2 most talked about dishes in one menu! Available in the BAR only. sharing. 1 menu shared between 2 people. From a sharing menu of 5 dishes . 1 menu shared between 2 people. Includes Tax, excludes service.. Menu cannot be halved to accommodate 3,5 or 7 people. There is a vegetarian menu available: guests cannot split the menu for veg and non-veg. Guest must order 1 veg menu and 1 non-veg menu, at an additional cost. Terms and Conditions: Maximum of 8 diners. Includes Tax, excludes service.Date restrictions will include special occasion dates and bank holidays (e.g. Valentines). Terms and Conditions: Maximum of 8 diners. Includes VAT, excludes service.Date restrictions will include special occasion dates and bank holidays (e.g. Valentines). Terms and Conditions: Maximum of 8 diners. Includes VAT, excludes service. Date restrictions will include special occasion dates and bank holidays (e.g. Valentines). Terms and Conditions: Maximum of 6 diners. Includes VAT. excludes service. Date restrictions will include special occasion dates and bank holidays (e.g. Valentines). Food was simply incredible. We are vegetarian and everything was delicious. The green mint and coriander sauce was so good we couldn’t stop eating it, the best I’ve ever had. The beet root appetizer was outstanding- perfectly spiced and balanced. The black daal May be the tastiest dish I’ve ever eaten, I’ll be dreaming about it. The cauliflower curry and the baby Aubergine curry were nice but not as good as the other dishes. The spinach paneer was very, very good. The naan was light and fluffy and crispy- excellent. Overall an amazing feast but hold on to your socks when they bring the check! Very expensive but Im Very happy to have been able to have the experience. And the daal. Benares is a memorable experience: gracious service, comfortable and elegant dining room, and food inspired by Indian cuisine but is modern, original, faultlessly prepared and served, and divinely delicious. I will go back over and over again to this very special restaurant! You must do the bar tasting menu it's amazing food, cocktails and ambiance all for hardly any money....although when you realise how amazing it is you might want to order desert and a couple of extra cocktails. .. definitely recommend! The waiter who served us was brilliant . We also met the head chef! Great meal. Enjoyed it! Great service! The food as always was amazing and we're keen to try the new Street Food menu next time we come. The layers of flavour that are created are second to none and we have recommended Benares to friends and family. The meal was part of my husband's 50th birthday celebrations and he was really chuffed - he's not easily pleased when it comes to his food! Our waiter was really attentive without being intrusive and the whole atmosphere was very relaxed. This is such a great place. I’d been a few years back for dinner, lunch was fantastic and we look forward to coming back again soon. Whilst personally I thought the food was very good my guests were not so impressed. Definitely the service is not on par with what I expect from a Michelin starred place. Especially given that the prices are very high (£25+ for a small starter). I also didn't understand why the waiter kept suggesting wine bottles for £300, its a strange starting point without knowing the person's budget. As the bill hadn't arrived for so long we proceeded to get up and walk towards the door. That was the only time I felt the waiter was acting with urgency. Ridiculously good food, service impeccable. Really disappointed. Waited 20 mins to be seated and 15 mins to be served a drink whilst waiting. The restaurant was so noisy that we had to shout to hear each other. The table behind were so loud the staff actually said we will get them their bill and get them to go quickly. The staff should have asked them to keep the noise down. Other couples were also complaining about the noise. The food and drink were ok but overpriced for the experience. Have eaten in many restaurants and I had waited for years to go. So disappointed and would not go again. We hadn't been for a while and it was our friends' first visit - what a wonderful evening! The food was excellent and the service just right! very good value for fine dining! Amazing food. Great ambience and the service is superb. Great place for special birthdays. An excellent dinner, softshell crab and red mullet to start followed by lamb chops. All delicious. I took my mum here after a day shopping, we had the street food sharing platter which was delicious, just enough for a light dinner or lunch. The cocktails were amazing too. Great food. Service was efficient but not very friendly. Indian waiter who took our order seemed cross that we were ordering lots of starters to share and no main courses; but overall very good. Very, very good food and good sized portions with phenomenal flavours. This was my 5th visit to Benares but I was worried as have never visited at the weekend before. I needn't of done so as the standard was just as high as normal. The waiting staff took time to explain each dish and answered our few questions in detail. The food was amazing especially the Pollock starter and I thoroughly recommend Indian wine. This is our third visit to Benares and both the food and quality has gotten even better. The waiters are very attentative and the food portions are generous. An interesting and tasty meal, with some imaginative variations on Indian food. We came for lunch and so was quieter. Great service. I always find it difficult deciphering Indian menus because growing up it was always just curry for me. Thankfully the waiter offered to provide a curry however I wish I liked it and to not worry about the labels. I ordered a lamb curry which was delicious and my guest ordered lamb chops which came with a side of curry too. Cauliflower was served as a side. 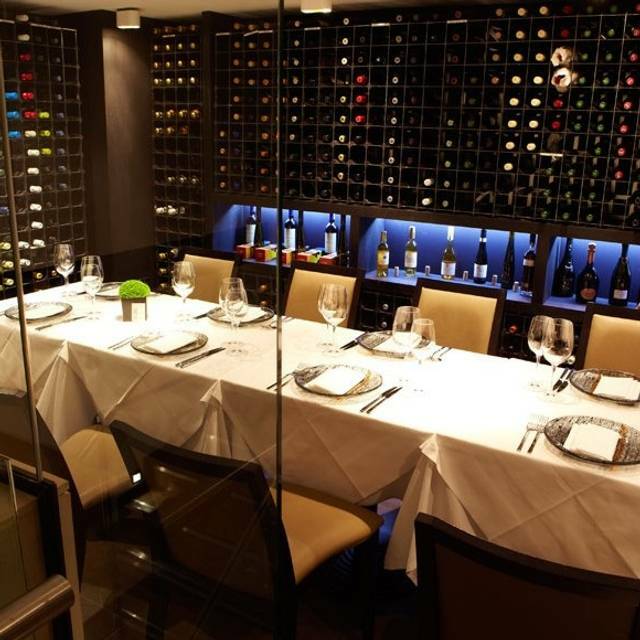 Benares is situated off Berkeley Square and a warm welcome was received where we sat in the bar for pre-dinner drinks. I would have to say the bar is more atmospheric that the main dining room which whilst smart is lacking character. The food, we had limited choice from a set menu, was delicious and the service was very good with helpful suggestions re wine choice. The food was good! The service was okay - would have expected much better! We were recommended here by a friend and our high expectations were met. Amazing delicious food, recommend the lamb chops. Great service too. Will return for another special occasion. The staff were very friendly and welcoming and very knowledgable of menu and wines. Delicious food. Fantastic staff and awesome food. Love this restaurant. The Royal Chicken and the paneer are superb! It was perfect for our anniversary, the tasting menu was fantastic! Excellent food worthy of its reputation.